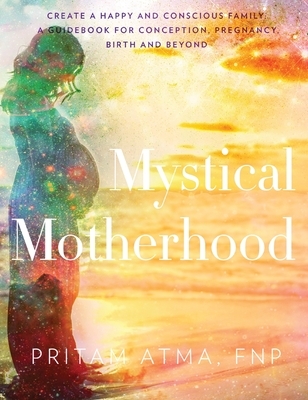 Combining Western and Eastern traditions, Mystical Motherhood, is your conscious guide to modern motherhood - from meditation and spirituality to a healthy pregnancy and birth - you will be guided step-by-step on how to raise your vibration and create a happy family from the time before conception to the early childhood years. Take a fabulous adventure into the "New Age" and learn how to integrate modern spirituality into your life with this practical, sophisticated and beautifully illustrated guidebook for new and experienced mothers who want a roadmap to awakening and healthy living. Inspired by consciousness shifting traditions, and her background in birth and medicine, Chelsea Wiley will take you by the hand to help you find personal enlightenment and create conscious children as you embark on your transformational journey to becoming a mother. Mystical Motherhood is a coffee table style art book which is packed with tips, exercises and step-by-step instructions on how to live a more fulfilled and happy life. Get a fresh take on ancient knowledge from the Kundalini Yoga heritage with 20 illustrated drawings, which guide you through integrating meditation into your life. Active mental and writing exercises will set you on the path to awaken the true potential within yourself and family.